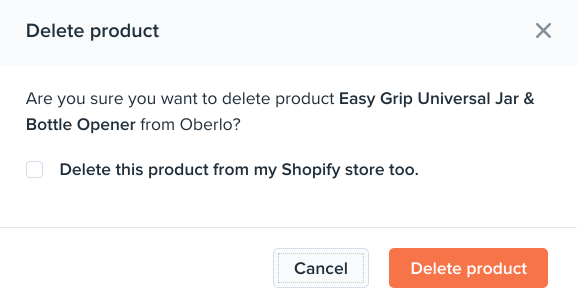 There are two ways you can delete Oberlo products: in the Shopify admin and in Oberlo. 2. Select products you want to delete. 3. 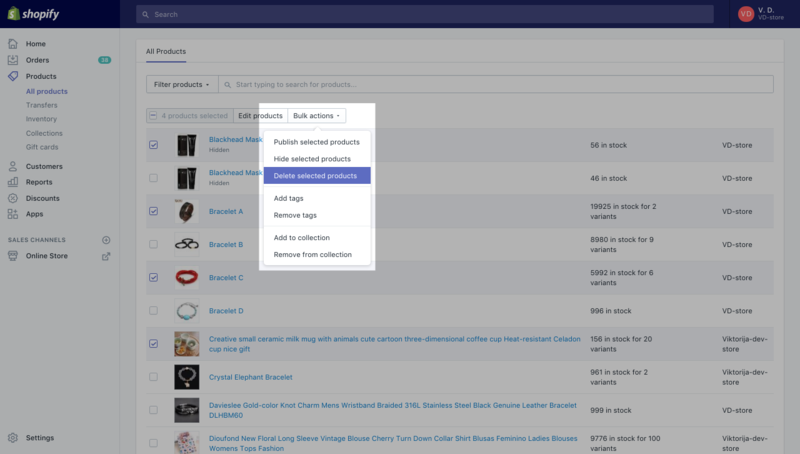 Click "Bulk Actions" and then "Delete selected products". Note: You can delete the product from its page too by clicking on the red "Delete Product" button at the bottom of the page. 1. Go to My Products page. 2. 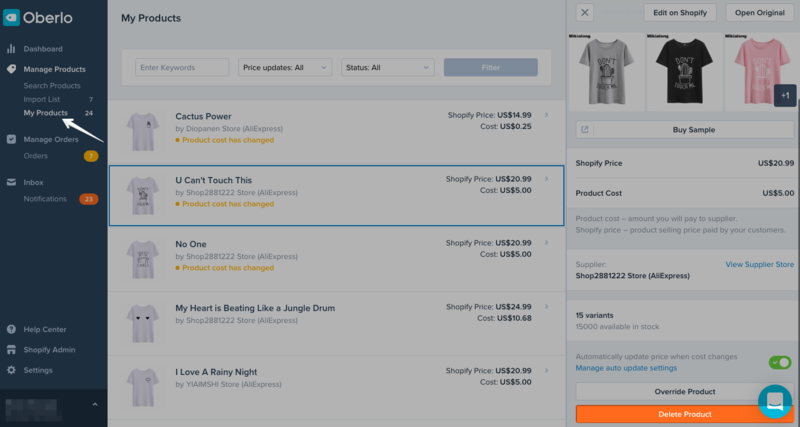 Select your product, scroll down to the bottom of the bar on the right side and click on "Delete Product". 3. 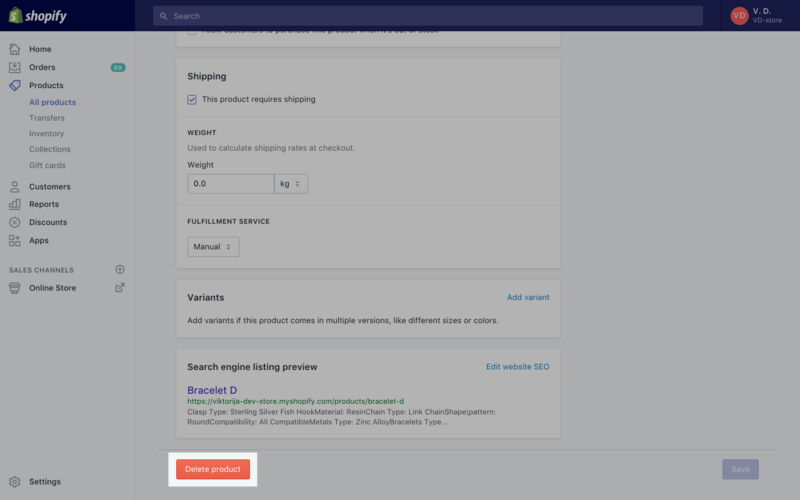 If you want to delete this product from Oberlo and Shopify platform, mark the checkbox "Delete this product from my Shopify store too". If you want only to "Stop Tracking" a specific product, do not mark the checkbox from the pop-up window. "Stop Tracking" means that the product is unsynced with Oberlo and orders wouldn't show up in Oberlo anymore. It can take from seconds to several minutes until all your selected products are deleted.